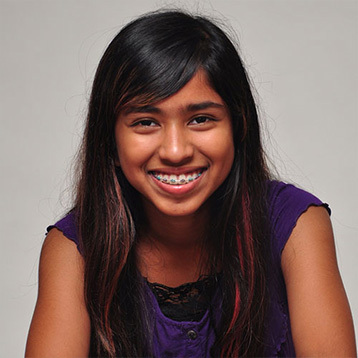 Even with all the technological advances, metal braces are still the “gold standard” in orthodontics. They are the fastest, cheapest, and most hygienic orthodontic appliance on the market. While they are not the most aesthetic option, for those who don’t mind showing off a little mouth jewelry, metal braces are an excellent option! We have lots of colors to choose from and kids love to change their colors at each visit.